Andy Rubin, the ‘Father of Android is back, with a bang and that is the Essential Phone! He’s not just known for creating the Android, and he has worked on numerous projects which turned out to be successful. With a vast experience of working with big tech companies like Apple, Google, MSN, etc. he left Google in 2014 to start his mission of creating a phone and many other devices which excel in quality and user experience, and he wishes to create the Essential phone greater than Apple. Keeping the platform open as he believes that open platforms always win. Essential Phone will come later this year with a price tag of $699, and Essential Home is another such product taking shape under the hood. He is developing the Ambient OS, which will power every gadget in your house. 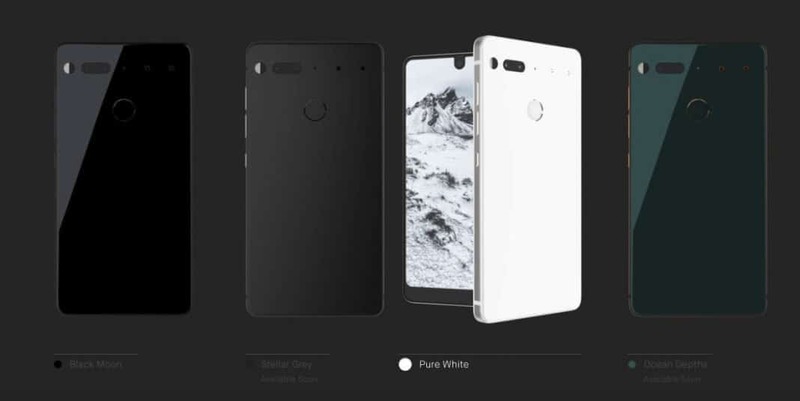 But why the Essential Phone is so hyped? Is it a flagship? Does it offer great value for money? Does it do something really incredible? Is it indestructible? Let’s find out! OnePlus fans may go into hibernation for now. The first thing that makes the Essential Phone unique is it is not everyone’s phone. This phone is not something that will have a few million units ready to hit the shelves. Of course, brands like OnePlus and Nextbit claimed the same but especially OnePlus got into the masses pretty quickly, which is not going to happen with Essential Phone. Andy believes that people hate watching others around them carrying the same phone they have, and gadgets tell a lot about the person holding it, as so they want to win hearts with the product, not smart marketing or big talks. While a phone is manufactured, manufacturers have to ensure that it is built with solid materials that will provide durability, along with a good look. But none of the OEMs including Apple has shown any phone that has both. 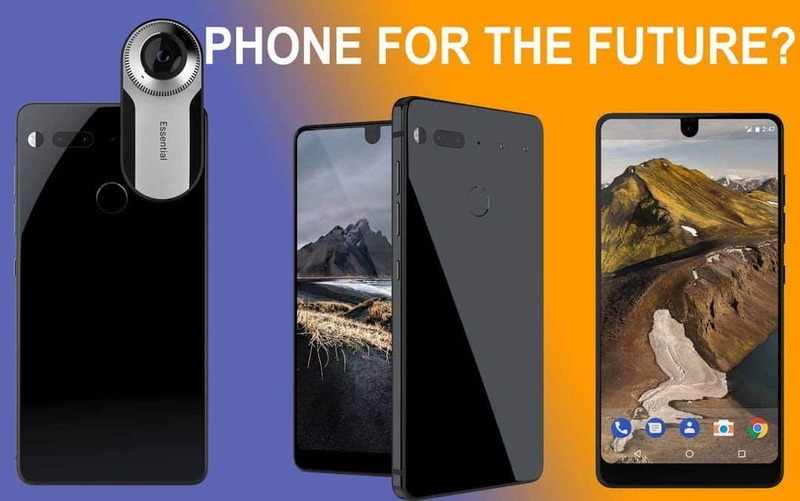 Jason Keats, Essential’s head of hardware architecture revealed that he and his team wanted to build a first titanium phone, that will offer durability, and it will not be cheap. Finally, they found out a solution- A small German company that injection-molds the material. So, it is a step to a higher build quality that we might not see on other phones soon- A blend of ceramic and titanium. I guess after they revealed this, some manufacturers will stop saying things like, ‘It has a metal unibody build.’ ‘the device is made out of premium metal’ and so on, I mean What The ‘F’ Premium Metal means? Is it denoted as ‘PM’ on an elementary chart or you made the phone from some material that is not available on planet Earth? I hope this trend changes, as we are now tired of watching and hearing these terms, be it listed on an online store or in any launch event. Regarding design, the Essential Phone will look like a phone- no big deal. But guys at Essential have figured out ways to make it bezel-less but didn’t miss a front facing 8MP camera capable of recording 4K videos. The phones belong to people, not to brands. Once you buy a phone, it’s yours. So, say goodbye to branding, if you like you may send this phone to Micromax for rebranding with their logo. Many people complain a lot about bloatware, which will never be seen on an Essential Phone. Andy Rubin also said a bit about their duties in a note that says, ‘Devices shouldn’t become outdated every year. They should evolve with you.’ That indicates that if you own an Essential Phone, you may relax a bit. One brand promised something similar to it a while ago with the slogan ‘A new phone every month’ as they were going to add features to phone every month with updates but failed miserably. Didn’t you Apple fanboys get pissed off when they removed all connectors and put USB-C ports for literally everything, and you need to buy dongles? Essential Phone will get connected to accessories using the two metal connectors placed on the back. Andy promised that the accessories would also connect to the smart home hub, through the same connector, and will work with future products from Essential. 360-degree photos are getting quite familiar, and some brands manufacture and sell them as an accessory (cough samsungcough), but the Essential Phone will come with one such 360 camera that is as small as your thumb, and you don’t need to pair it as the phone will treat it like it’s internal camera. Convinced? Satisfied? Feeling like the price tag is high? Okay, then let’s talk about the hardware. The Essential Phone will ship with 4 gigs of RAM, powered by the Snapdragon 835 chipset [the same you saw in Samsung Galaxy S8] and 128GB of storage onboard. However, it missed the 3.5mm headphone jack though you will get a dongle for that purpose and also, as we mentioned other future audio accessories would be able to connect to the phone using the metal connector on the back. So, these are some of the highlights regarding the Essential Phone and why it is a phone for the future. If you’re still happy with overpriced iPhones from Apple and ‘so-called’ flagships with excellent craftsmanship from Samsung, we don’t have a problem with that because you pay for brands and logos, not for a product with durability, power, and great user experience. Previous articleZenFone Live – A Perfect Selfie Smartphone for Social media Enthusiasts!